This looks like a great kit for Electronics merit badge. If I count correctly, it has 26 through-hole solder joints. Half the components are resistors, which work even if you put them in backwards. The result is an LED-powered flame-like flickering light. I am pretty sure this is a “control device circuit”, as described in requirement 4a. The kit is around $6, depending on how many you order. Check out the Evil Mad Scientist Flickery Flame Soldering Kit. 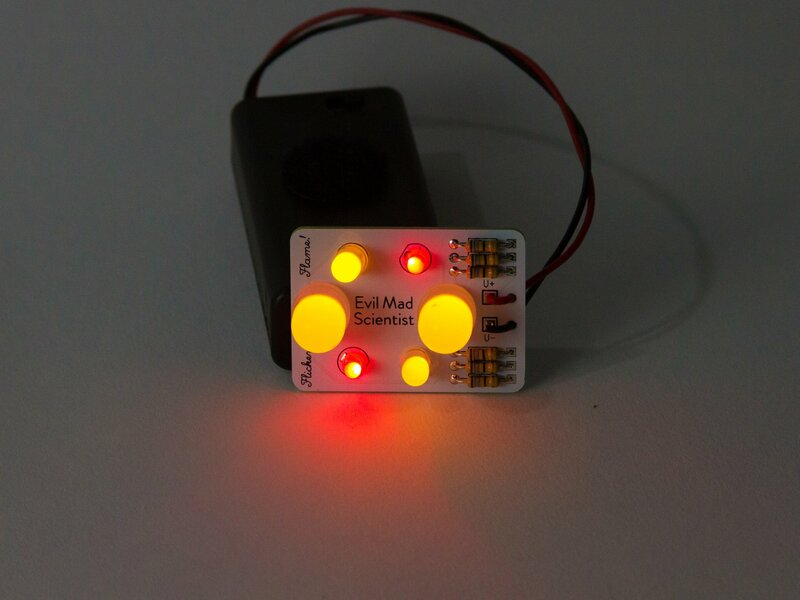 There is also a Solderless Flickery Flame Kit for around $9. But where is the fun in that?